Our board of directors is made up of both Vodafone employees and independent experts in community, education and philanthropic sectors. Born in the United Kingdom, Antony trained as an occupational psychologist and has worked in HR, strategy and marketing with Vodafone in the United Kingdom, Japan, India and New Zealand. Now settled in Auckland with his wife and two daughters, Antony Welton has been the Chair of Vodafone NZ Foundation since 2012 and is also HR Director of Vodafone NZ. 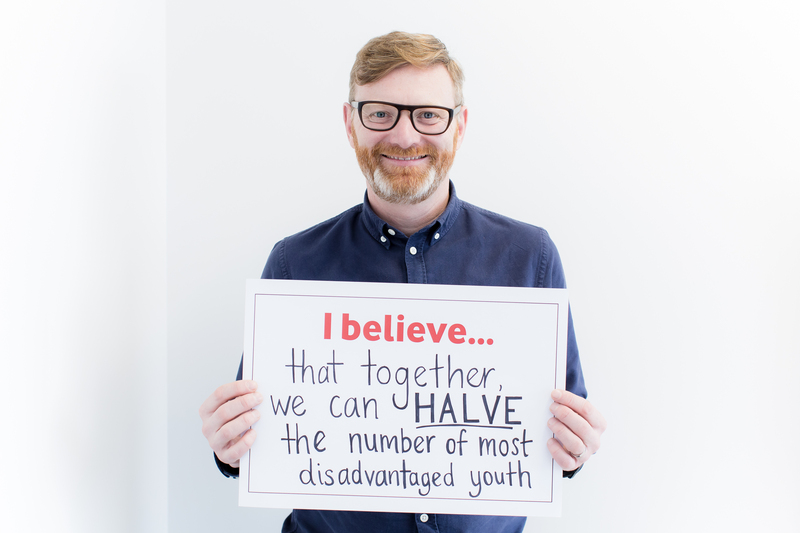 Antony is continually inspired by the people and organisations that the Foundation supports, knowing that they are playing a key part in supporting New Zealand’s young people to live lives they value. Born and raised in Palmerston North, Hinurewa descends from Ngäti Rangi, Te Äti Haunui-a-Päpärangi and Ngäti Maniapoto. Having been raised through köhanga reo, kura kaupapa Mäori and wharekura, she works at her wharekura as a secondary school teacher. Hinurewa holds a Doctorate of Philosophy in which she explored the role of youth in Mäori language revival, and the factors that influence the use of Te Reo Mäori among those who’ve been educated in Wharekura (Mäori-medium secondary schools). Having witnessed the benefits of the Foundation’s World of Difference programme first hand, Hinurewa considers it an honour to be a board member. Jennifer Gill has been involved in philanthropy in New Zealand for over three decades. After working in the not-for-profit sector in Auckland and Wellington she was invited by Sir Roy Mckenzie to work with him on the development of his personal foundation. 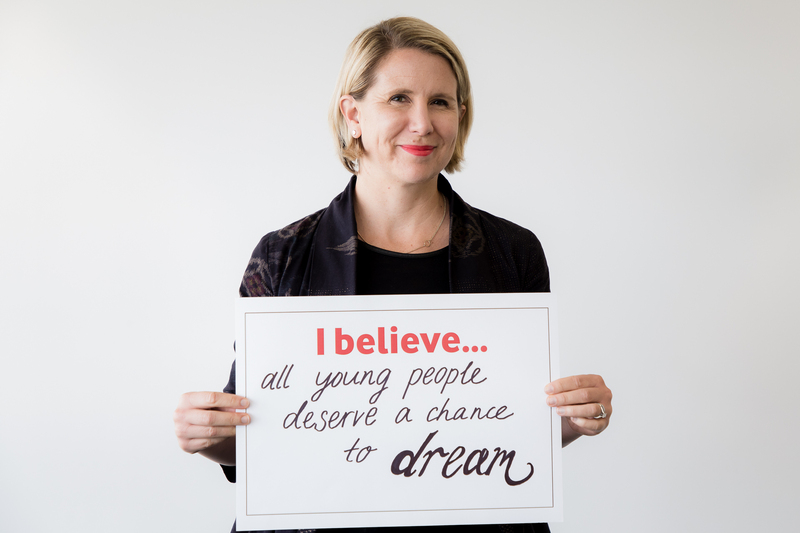 Since then Jennifer has served as a Trustee and chair of the J R McKenzie Trust and the Nikau Foundation and has been a Trustee of three family grant making foundations. She was a founding board member of both Philanthropy New Zealand and Generosity New Zealand and continues to play a leading role in the development of the sector. As CEO of Foundation North since 2004 she has led the foundation on a journey into innovative and adventurous philanthropic giving. Juliet worked in London for many years and is now the Legal and External Affairs Director at Vodafone New Zealand. Born and raised in Heretaunga (Hastings), Juliet went on to Canterbury University where she studied law and political science. Juliet’s role includes connecting Vodafone with all the people, communities, agencies and stakeholders our business impacts every day. Juliet lives in Auckland with her young, lively and magical son. 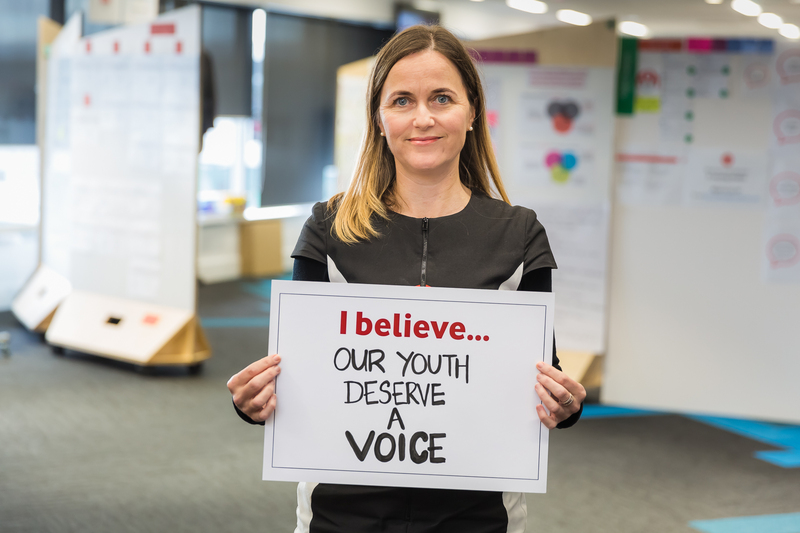 Katie is the Head of HR Centres of Expertise at Vodafone New Zealand, and is responsible for leading the Human Resources team to create an engaging and inclusive workplace. Katie joined Vodafone New Zealand in 2008 and has held a variety of roles including HR Business Partner, Head of Organisational Development, and Talent and Capability Manager. Prior to joining Vodafone New Zealand, Katie has worked across Australasia and Europe in a range of industries including agri-chemicals, petrochemicals, finance, law, manufacturing and retail. Katie has a Master’s degree in Science with honours, and a Post Graduate Diploma in Industrial and Organisations Psychology with distinction from the University of Canterbury. Outside of work, Katie is a keen yoga enthusiast, and enjoys spending time at the beach with her husband and young family. 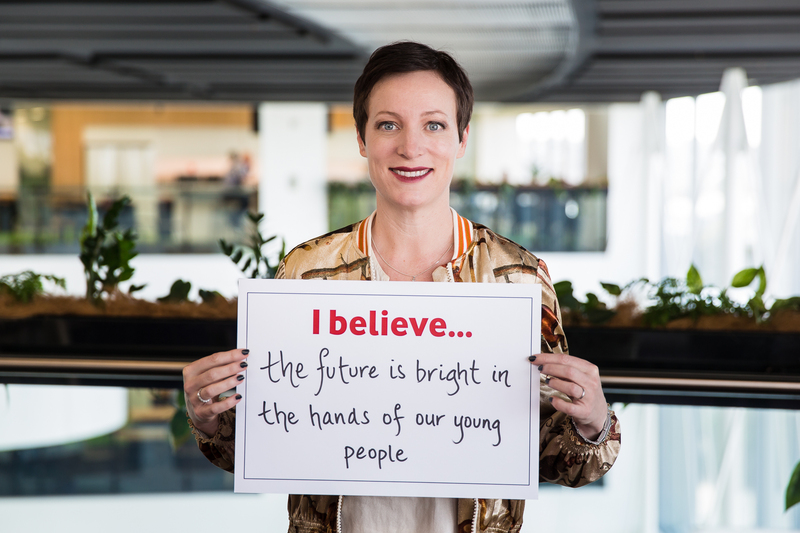 Kirstin is Vodafone New Zealand’s Diversity & Inclusion Lead, and is responsible for developing authentic relationships with Mäori, increasing gender equality and women in leadership, growing youth employment in Vodafone. Raised by her grandmother in the Tämaki community amidst the whänau of Ngäti Whätua ki Öräkei, Kirstin is passionate about advocacy of Mäori and indigenous rights, and ensuring everyone has equitable access to resources and governance opportunities. Kirstin joined Vodafone’s Customer Service team in 2008 and now has what she describes as the privilege of leading the company’s Diversity & Inclusion strategy. Of Ngäti Rangiwewehi, Ngäti Rangiteaorere, Ngäti Mahanga and Ngäti Whawhakia descent, Kirstin has two children and is currently completing a Post-Graduate Business Diploma in Mäori Development at the University of Auckland. Mänuka lives in Haruru, Bay of Islands with his wife Diane. He is blessed with five children and eight mokopuna. Mänuka is Associate Professor, Mäori Business Development in the Department of Management and International Business at the University of Auckland. He is also a researcher and consultant in the private and indigenous social enterprise sectors with a specialty in Mäori business enterprise and development economics. 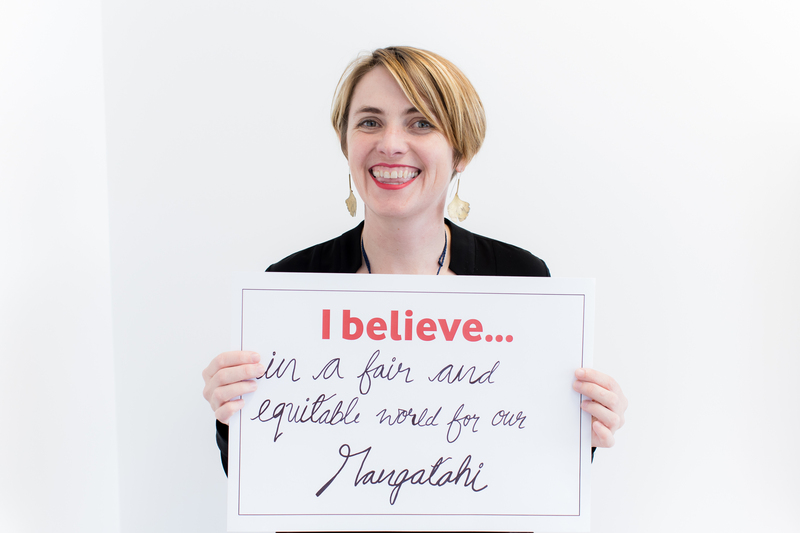 Mänuka is passionate about social enterprise development and the spirituality of people and societies. He has travelled throughout Asia and the Pacific assessing the spiritual and community development of these regions. 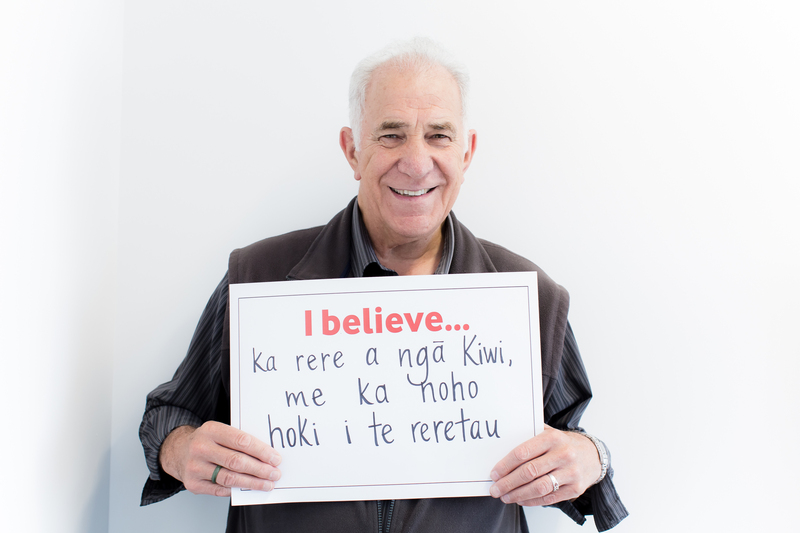 He supports the recognition of Mäori, Pasifika, and Asian youth as an emergent new force for diversity enhancement providing an impetus for change to the quality of life of all New Zealanders. We have a small team, made up of passionate individuals with wide-ranging experience within the community, funding and business sectors. 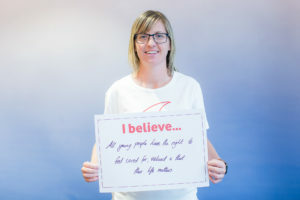 As the Foundation Manager, Lani works to deliver on our vision of all young people living lives they value. As a World of Difference recipient in 2009, Lani engaged young people in their communities through Volunteer Otago. She went on to run the Regional Volunteer Centre before establishing a national youth organisation, Regeneration Aotearoa New Zealand. 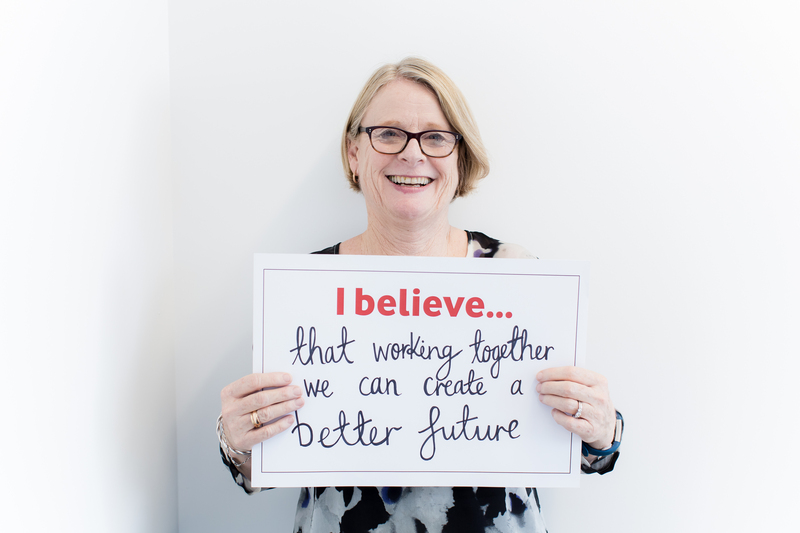 Since then she has worked for community organisations in governance and leadership roles, including her role as CEO at Thankyou Payroll, a Dunedin based social enterprise. Lani is currently co-chair of Thankyou Charitable Trust, trustee for Philanthropy New Zealand, vice chair of ActionStation, co-chair of the West Harbour Beautification Trust and co-founder of Christchurch-based youth transitional housing project Room:Maker. Lani received the Winston Churchill Fellowship for 2015 to explore the efficacy of devolved decision-making models in international philanthropy. In her spare time, Lani enjoys tramping, playing with her puppy Tomoe and is training for her first ultra-marathon. 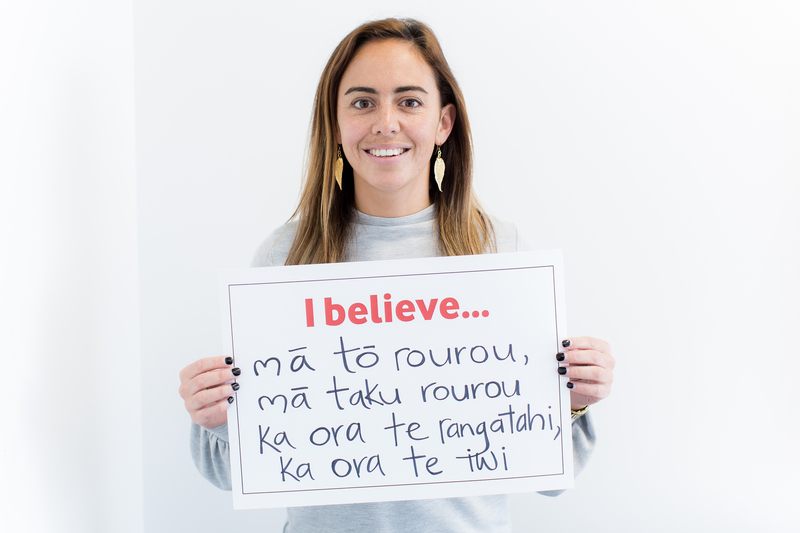 Cristina was born in Spain, but has spent the past eight years making New Zealand her home and working in Vodafone NZ’s marketing team. She loves to make a difference in the youth sector and has volunteered at Starship Hospital, Red Cross NZ and at an Indonesian orphanage through the Vodafone Hands Up programme. A member of the Foundation since 2014, Cristina’s role is to ensure that our alumni and partners are connected to the right people so that they can gain extra skills where needed. 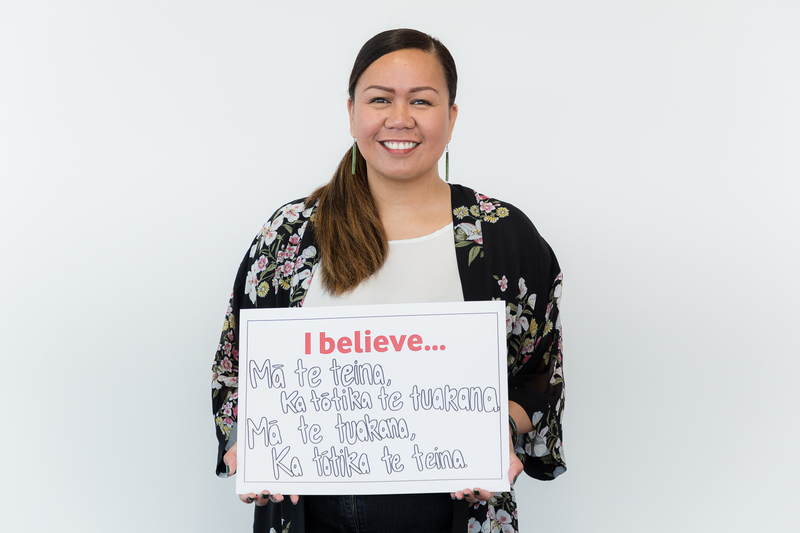 She links specialists in the Vodafone business up with our community partners and organises our hui, where our partners and alumni learn from each other’s experiences as well as find opportunities for collaboration. Annie was born in England and came to NZ as a teenager. Annie has worked at Vodafone New Zealand, in various roles, predominantly in Finance, for the past 14 years. She believes all young people have the right to feel cared for, valued & that their life has meaning. She has lent her time through our Employee Programme ‘Hands Up’ to a variety of organisations over the years. Annie joined the Foundation in January 2019 on a 12 month secondment covering for Cris and has bought with her plenty of corporate world skills & connections. She is looking forward to helping make a difference in whatever way she can in her short tenure. In her spare time Annie loves everything football, especially her beloved Leicester City. You will find her either playing football, watching football, talking football, playing FIFA or working on her Fantasy Football team. 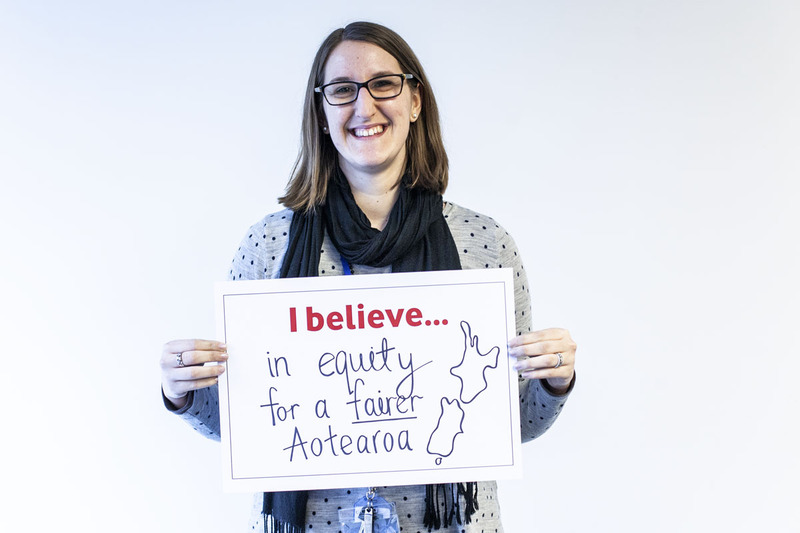 Helen grew up in Whangarei and now lives in Wellington. She has degrees in Film, Psychology, and Criminology, and developed a passion for supporting the community sector while studying. Helen’s passion led her to work for JustSpeak, the Diana Unwin Chair in Restorative Justice, Inspiring Stories, and most recently, the J R McKenzie Trust. In 2013 Helen co-founded Film for Change Aotearoa, a volunteer collective who believe in filmmaking for a fairer world. In her spare time Helen gardens, chairs the Governance Board of Film for Change Aotearoa, and volunteers her filmmaking skills with Wellington charities. Nicola is the Foundation Secretary, and advises the Foundation Board and operations team on corporate and charitable governance and compliance matters. Prior to joining the Vodafone Legal Team in 2014, she worked as a corporate/commercial lawyer in both New Zealand and the UK. 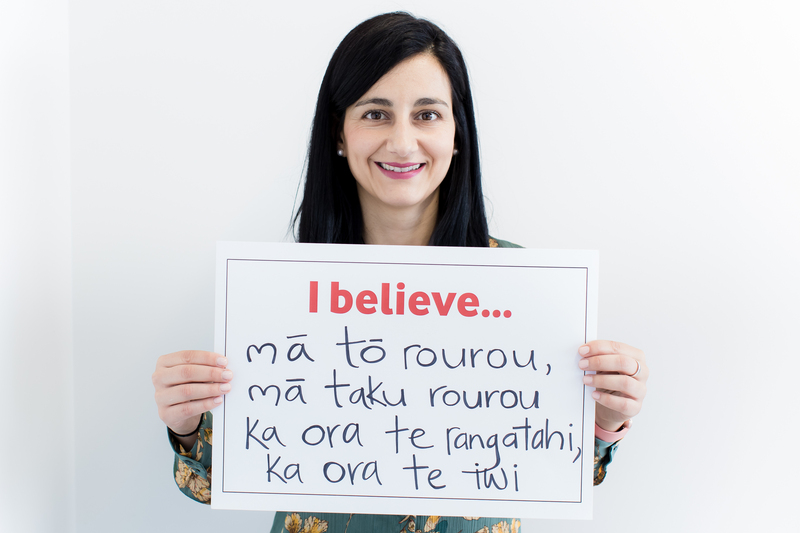 Nicola is also passionate about destigmatising mental health issues in New Zealand. She regularly speaks at post-natal courses about maternal mental health challenges, and believes this support of new parents will contribute – in a small way – to better outcomes for young New Zealanders in the longer term. Outside work she loves off-road running, and learning from her young son to find all that is beautiful and hilarious in the world.